While many differing interpretations for the Taoist texts (ie. The Book of Chuang Tse and Lao Tse’s Tao de Jing) exist, this article only concerns those that relate to Taoist meditation. Some concepts of Taoist meditation overlap with the Taoist view of how society should function (a core concept of the Tao de Jing), but this aspect will not be the primary focus. Instead, the aim is to explain the fish story, and prove it is not the only reference to Taoist meditation. 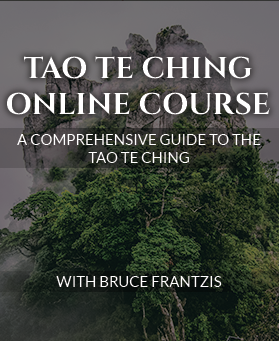 In each Taoist text, a few major meditative principles or techniques are focused on and restated, normally in continually differing ways. Generally the point is taught through analogy. A good example of this is Lao Tse’s 70% rule in the Tao de Jing. Both Lao Tse and Chuang Tse belonged to the water tradition of Taoist meditation. One of this method’s primary defining traits is to never push or force things to occur. 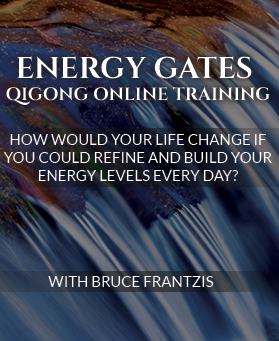 This represents a radical divergence from most other meditative systems, which force pathways in the mind to open up and shape themselves according to the intention of the practitioner. The 70% rule itself is quite simple: Don’t push anything beyond 70% in your body or mind. Everyone in the world knows that when the beautiful strives to be beautiful, it is repulsive. Everyone knows that when the good strives to be good, it is no good. In both cases strain produces a negative outcome, hence one should not strain. One can also note how this meditation concept also makes sense in daily life. All objects rather than being solid are mostly empty and this emptiness exists as a state of flux whose vibrations give rise to solid form. This idea exists in other mystical traditions as well, primarily Buddhism and Hinduism. The goal of Taoism is to understand the universe, the true essence of which is ingrained within their philosophy. Initially my only real basis for understanding emptiness was to link this idea to quantum physics. All matter is composed of atoms which are mostly empty, and vibrating forms of energy which create the force which gives rise to physical matter. In addition, quantum physics accepts infinitely changing possibilities of the universe, and as such meshes with the flux idea. Nevertheless quantum physics is often used as proof for many metaphysical concepts and at times done so incorrectly, so a less cliché explanation is preferable. Emptiness was an abstract concept like the one before to me until I had a few personal experiences to show it existed. The first involved a friend who had begun practicing something with me to open one of his doorways of perception. At some point he told me he felt his third eye start pulsing and he saw multiple afterimages behind each person in the room representing different possibilities they could manifest in the next moment. Before long he was able to use this to guide the conversation and see everything that would happen, which was a very interesting experience. Bruce told us that my friend had glimpsed one of the opening stages of emptiness. A few weeks later, I was tired, and some parts of my brain started going into spasm. I began to notice things having a rippling translucent layer on top of them, which gradually progressed to them appearing more and more hollow (and then abruptly cut off). Bruce once again said this was a common initial experience of emptiness. These examples may seem outside the discourse of Chinese philosophy, but I believe that giving experiential examples to demonstrate this abstract concept will make it easier to comprehend. 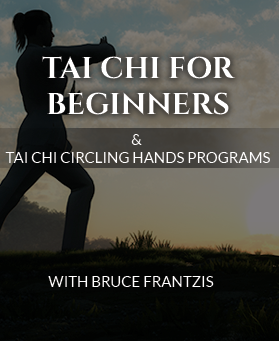 Understanding the nature of emptiness was given such strong emphasis by Chuang Tse because it is an intermediate Taoist practice that eventually leads to seeing the Tao. Working with the notion of emptiness thus is a primary goal of Taoism. As a result both Chuang Tse and Lao Tse deemed this to be a very important teaching to impart, and mentioned it numerous times throughout their writings. Since debating Chuang Tse’s work is my focus, only quotes from him will be mentioned. Here are two that I feel show the importance not just of seeing the emptiness in objects (and in turn their fundamental essence), but of allowing that state to arise within your own mind. In this state, the mind’s artificially created forms melt away and bring one closer to the Tao. May I ask about fasting of the mind? “Unify your zhi (will/plans), Do not listen with your ears but listen with your mind. Do not listen with your mind but listen with your chi. Listening stops with the ear. The mind stops with signs. Chi is empty and waits on external things. Only the Way gathers in emptiness. Emptiness is the fasting of the mind. Here Chuang Tse is making the point that different forms of thinking exist, which eventually arrive at the process of knowing he terms “emptiness,” which in turn leads to the Tao. Don’t take responsibility or claim knowledge…..Take everything you get from Heaven, but don’t consider it gain. Just be empty. Perfect people use their minds like mirrors, not welcoming things as they come or escorting them as they go. Here Chuang Tse asserts that emptiness is the key to true knowledge. To reach it (and later arrive at the Tao), you must become completely unattached to your own thoughts and knowledge, and instead be open to the spontaneous flow of nature. The modern focus is much more on the external world. Given how things seem to be connected, it’s fair to assume Chuang Tse’s writings about internal emptiness can be applied to external ones as well. Of course, the question is how.